This bakery and café at Royal Naval Dockyard offers freshly baked pastries, sandwiches, quiches, desserts, coffees and teas. A traditional English afternoon tea is also available. The bakery can also supply cakes for weddings, birthdays, and other special occasions. 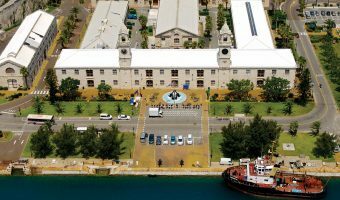 The Dockyard Pastry Shop is situated on the Dockyard Terrace, close to the Dockyard Visitor Information Centre and just a short walk from the cruise ship terminals at Kings Wharf and Heritage Wharf. It’s open daily from 9 am until 5 pm. Map showing location of Dockyard Pastry Shop.